My colleague Ben Hammersley recently wrote about Patagonia (an outdoors brand) and brand advocacy. It's well worth a read (here's the link), but in case you missed it he said that Patagonia's initiative of donating all of their Black Friday profits to charity only bolstered and improved his feelings towards that brand. Why? Well, because in a time of mass-expenditure and firms slashing prices in an effort to increase the number of sales, this was a firm who were categorically going against the grain, trying to do a little good in the world whilst the rest of the pack filled their boots. I would propose the Co-Op as another brand who are going against the grain this festive season. Famously, Christmas is a time of giving but this tends to be a bit a bit enclosed, giving within a family or friendship group. 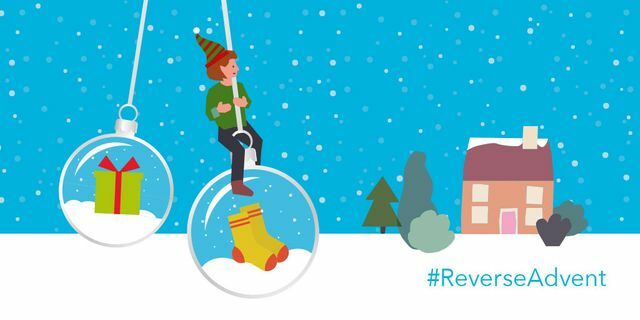 The Co-Op invites us to "think inside the box", this festive season with their #ReverseAdvent campaign. The premise is simple, the Co-Op will provide you with a large box and a £5 giftcard. They ask that each and everyday during Advent, that you (&/or your colleagues) pop something inside the box - food, presents, something useful etc. When the box is full, give it to someone in need. This is a great, heart-warming initiative from an organisation who still espouses their family-first values. It is also a masterclass in long-term brand strategy. Adopting the now customary hashtag, they have ensured this campaign will translate well across all social media mediums. That is to be expected. What I feel is much more important is what this campaign represents for the Co-Op leading up to Christmas and how it will add value in the long-term to the customer experience. Corporate 'do-good' schemes are useless unless the customer is involved, otherwise it just another meaningless exercise in CSR. By directly implicating the customer in their charitable efforts, the Co-Op effortlessly create goodwill around their brand. By tapping into the goodwill of their customers and facilitating the wider public's desire to help those in need at Christmas time, the Co-Op are enacting the values which best represent them, their owners and their customers: Helping those in need, sacrificing a little so that others can have a bit more and working together for the collective good. What is even more powerful is that these actions feel authentic and not like a big publicity stunt, fitting in with the founding values under which the Co-Op was established in 1844 (if you want to check them out, here's a link). A lesson then for us all, people and businesses alike: be authentic and true to the values which are yours and yours alone. By showing their human side, the Co-Op have reaffirmed their position as an organisation who cares not only about their customers, but for those who are a bit less fortunate than themselves. Through implicating the customer in this charitable venture, the Co-Op create goodwill around their brand and an enduring positive impression. By doing so, the Co-Op helps change their customers into brand advocates (those who embody the values of the brand and openly sing its praises). That is publicity that money can't buy. A big thank you to Lora Dimitrova who alerted me to this wonderful initiative.